The history of professional soccer teams developing players mirrors its American counterparts. Both originally developed their own players within the organization to fit their system. Today, highly-paid players from Spain play in the English Premier League, French players suit up in German Bundesliga and Latin American players are scattered throughout top European leagues. But one club has resisted globalization. Athletic Bilbao, which takes on on Mexico’s Club Tijuana in the Basque Soccer Friendly at 7 p.m. Saturday at Albertsons Stadium, remains true to its historic principles, fielding only Basque players. The club originally only fielded players from the city of Bilbao. But it has since expanded its home base to include all of the Basque country in Spain and France, a semi-autonomous region with desires to become its own country. Meanwhile, Real Sociedad, its rival, abandoned its Basque-only policy in 1989. Players are considered Basque if they were born in the Basque country or if the team developed them in its envied youth system. That has produced a bounty of world-class players despite drawing from a region with the population of the San Diego metro area (3 million) that covers a land mass slightly larger than Owyhee County (8,000 square miles). Chico points to the rising commercialism in sports and the example of the Utah Jazz, originally from New Orleans, playing in Salt Lake City. 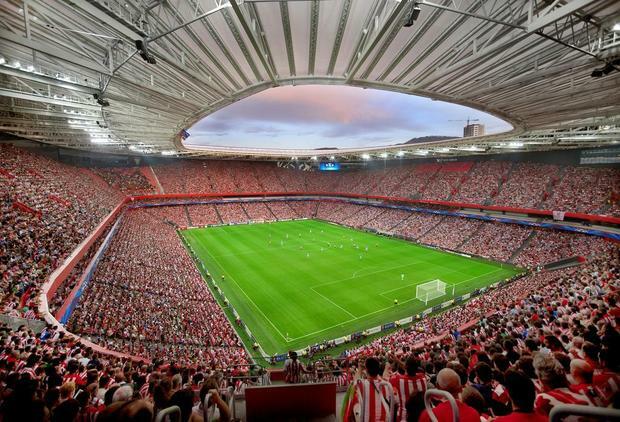 Athletic’s policy ensures the team on the field mirrors the fans in the stands. But the policy also comes with its detractors, who claim it limits the club’s competitiveness. The club dominated Spanish competitions in the early 1900s but hit hard times in the 2000s, flirting with relegation to the second division of La Liga, a fate only it, Real Madrid and Barcelona have avoided in league history. Athletic didn’t field its first black player, Jonas Ramalho, until 2008. And defender Aymeric Laporte, inked to a $55 million release clause this summer to ward off interest from Manchester United, is only the second French-born Basque to suit up for the team in its 117-year history. Chico says she’d rather watch the team fall into the second division of La Liga than watch it field a foreign player, not that anyone expects change soon. Joe Lasuen, vice president of the Boise fan club, says the policy speaks for itself in Bilbao’s results. Read the origina article here.